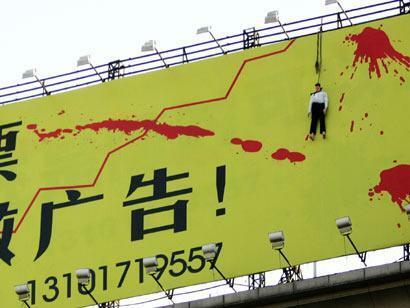 THIS is the advert on the side of the Yinji Shopping Mall in Zhengzhou, China. A mannequin is hanging from the top of the billboard. But why not use a real banker – they need the work..?